Serious lung diseases caused by fungi are quite unusual in healthy, immunocompetent individuals. 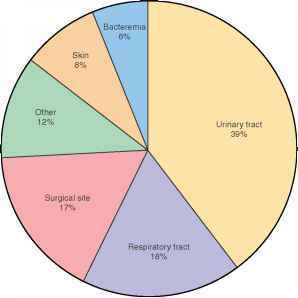 Symptomatic and asymptomatic infections that subside without treatment, however, are common. One organism, probably a fungus, infects most of us in childhood without causing symptoms. This organism, Pneumocystis carinii, will be discussed in chapter 29 on AIDS. Coccidioidomycosis and histoplasmosis are two other examples of widespread mycoses. In the United States, coccidioidomycosis occurs mainly in California, Arizona, Nevada, New Mexico, Utah, and West Texas. People who are exposed to dust and soil, such as farm workers, are most likely to become infected, but only 40% develop symptoms.